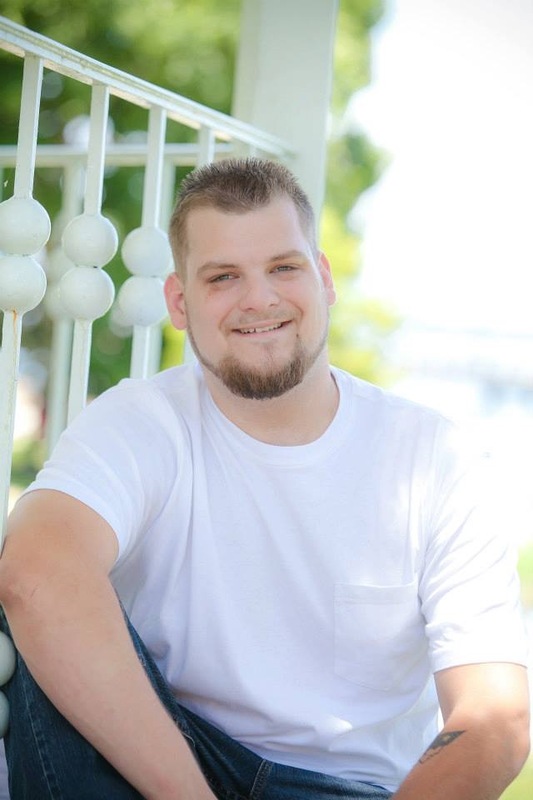 Joseph “Joey” Anthony Richmond, 26, of Green Cove Springs, FL passed away Thursday, October 4, 2018. Joey was born in La Plata, MD and moved to Florida at the age of 6. Joey attended and graduated from Ridgeview High School in Orange Park, FL in 2010. He loved fishing, lake days, going to the beach and family gatherings. Joey enjoyed playing football growing up and had a passion for cooking. Joey aspired to be a Chef. Joey was a Florida State University and New England Patriots fan. Joey was in his comfort zone being the center of attention and making everyone laugh. Joey would never back down from a dare especially if it meant he was entertaining everyone else. You could always count on Joey to freely give the best bear hugs. One of Joey’s favorite things was going on daddy-daughter dates with Lilly-Ann whom he adored. Joey was preceded in death by his grandfathers, Joseph Anthony Abell and Talmadge J.V. Jones Jr; grandmother, Kay Ella Jones; great-grandparents, Marie M. Halter, Martin Vernon Abell, Mary Helen Abell, and John Webster Knott Sr; aunts, Michelle Vernon and Sheila Vernon; cousin, Kenneth Sweet. He is survived by his parents, Patrick and Renee Richmond, Talmadge J.V. Jones, III “Jay”; his daughter, Lilly-Ann Marrie Richmond; two brothers, Brody Richmond and Nathan Jones; two sisters, Heather Richmond and Bailey Richmond; grandparents, Donald and Donna Knott, Dana and Margaret Roscoe; great-grandparents Donald L. Halter and Lillian C. Knott; aunts and uncles, CJ Knott (April), KJ Richmond (Nicki), Erin Richmond, Tom Richmond, Margaret Geary (Eddie), James Richmond, Jon Richmond (Shana), Alisha LaMot(Ryan), Pete Richmond, Sam Richmond (Kamberly), Brandy Howard, and Kenneth Jones; Lilly-Ann’s mom, Danielle Baugh; his great aunt, Robin Bascara (Junior); cousins, LatessaDaughtery (Steve) and Joe Bascara (Allina); and many more cousins, family and friends. Funeral services will be held 11:00am Thursday, October 11, 2018 in the chapel at Russell Haven of Rest. Visitation with the family will be held one-hour prior at 10:00am. Burial will follow in Russell Haven of Rest Cemetery. In lieu of flowers it is the request of the family to contribute to a Vystar Account # 7507677863, Routing # 263079276 on behalf of Lilly-Ann, Joey’s daughter. All contributions will be placed in a college savings fund for Lilly-Ann.